Irving Weekly - Irving Business Directory for Irving, TX. "This restaurant in downtown Irving is one of my favorites. Compared to other Brazilian steakhouses, the prices are less, but the quality of the food is above average. " "Enjoyed my visit to Empa Mundo." "I visited Tio Carlos a couple of days ago. Although the city gave it a C score, the restaurant was clean. I also visited the bathroom which was also clean. The service is great as all of their employees are very attentive. If you like chips with hot sauce and bean dip, you will be happy. They keep it coming before you can finish. The food portions are a very good size. I ordered the Lomito Argentino and it was a foot long loaded with ingredients. The Argentinean meat is not of the greatest quality and that was disappointing. I was also disappointed that some items have been removed from their updated menu. My children had the telapia and they loved it so that part was good. Overall I think it is an average restaurant." We have become one of the most known news website for the city of Irving. We know the importance of being able to find relevant information about businesses in our city. Irving and Las Colinas is a growing community of strong businesses. Therefore we have created this Irving Business Directory to be a central place for the Irving community to find businesses. 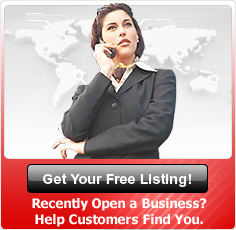 In our directory you can find business addresses, contact information, business description, and reviews. We specialize in providing you relevant information about Irving and Las Colinas so you have come to the right place if you are looking for a business directory for Irving, TX. Also, if you are a business owner, you can place your information on our directory at no cost to help other residents find you. By listing here you will get more exposure to your business with the Irving residents and Las Colinas community. You don't necessarily have to be a business owner in Irving to place your listing. So if your business is in the metroplex feel free to list as you will get exposure in the city of Irving.